"10274NAT - Course in Preparation for Owner Builder Permit"
101Ed makes it easy to complete your QLD Owner Builder Course so you can get your QBCC QLD Owner Builder Permit faster. QBCC approved Education Provider. We are listed on their website. Successful completion of our Owner Builder Course gives you everything you need to Apply for a QBCC Owner Builder permit. QBCC Owner Builder and White Card course bundle. QBCC approved Owner Builder course. Course Certificate and all required QBCC documentation. 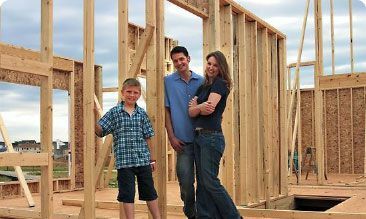 If you are building or renovating your own home and the value of the work exceeds $11 000, you need an Owner Builder Permit. Developed in conjunction with the Queensland Building and Construction Commission (QBCC) this course provides training for prospective owner builders. This course provides a basic grounding in project management skills including estimating/budgeting, scheduling, documentation and record keeping, monitoring and co-ordination of trade contractors. 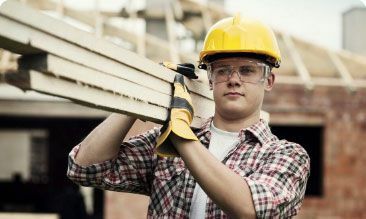 Anyone who works on a construction site in Australia is required to do construction induction training and get their White Card. As an owner builder your property is a construction site. QBCC will ask you for valid white card when you go to apply for your permit. Are there any exemptions for doing the owner builder course? The QBCC do offer exemptions for doing the owner builder course. Please click here to determine whether you are in fact qualify to make an application for exemption from the owner builder course. I'm thinking of making Owner Building my job, are there any restrictions I should know about? Yes,there are restrictions if you want to do Owner Building for a living. The QBCC places the limitation that only one permit may be issue every 6 years. Are there any disadvantages to being an Owner Builder ? Only one permit can be issued every 6 years. QBCC cannot assist in any types of disputes whatsoever. What happens if I do Owner Builder work without having a permit? Fines may be issued by the QBCC. Can I get a permit when my Owner Builder work is completed? QBCC cannot issue permits once the owner builder work is completed. They can only provide you with a letter for submission with an application for a development approval. The course duration is 1 weeks and the assessment take 4 hours. Successfully complete your owner builder course and you are ready to Apply for your Owner Builder Permit! to the 10274NAT - Course in Preparation for Owner Builder Permit.